The Test Explorer is a Visual Studio tool window containing a list of test cases organized by projects, groups or by test suites. To open the window, go to Test | Windows | Test Explorer. 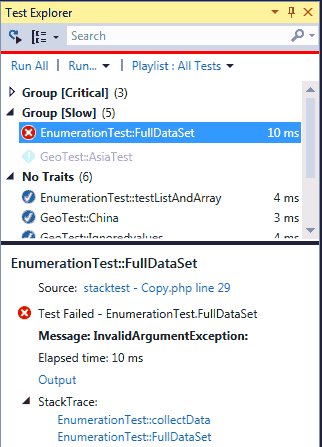 The Test Explorer allows to run and debug all tests, selected tests or tests listed in a group or suite.